To Be (1st) Franklin is a series on the open race for the 1st Franklin House District. NORTHAMPTON—Natalie Blais and her family relocated to Sunderland from Belchertown because of the quality of life. From the local market to Mt. Toby Farm where her kids spend time, it had the environment she and her husband wanted to raise their family. Yet, Massachusetts’s rural regions are at a crossroads. As Eastern Massachusetts pulls further away from the commonwealth’s occident, the chasm became especially pronounced in the 413’s least built-up areas. Countering this development has confounded regional leaders for years. However, with the incumbent 1st Franklin rep retiring, Blais wants to apply her skills and try her hand at it. If elected, she will apply the same approach she always has. “What is the roadblock, who needs to be at the table to get past that roadblock?” was how she described it. Stephen Kulik’s retirement has let loose a panoply of candidates in the sprawling 1st Franklin district. From journalists and presidential campaign aides to local officials and activists, the field offers voters several choices. 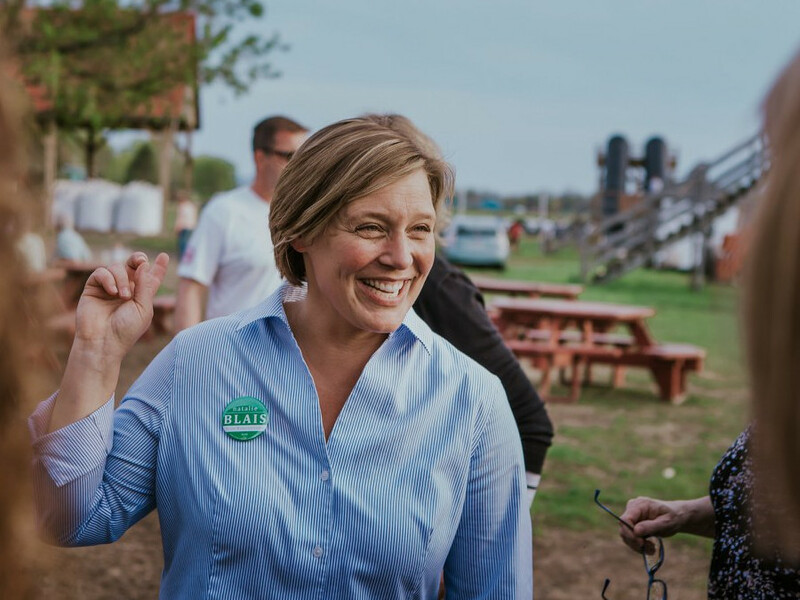 Blais is banking on her background of working on many of the region’s issues to win. As an aide to US Rep James McGovern and before that John Olver, Blais worked on several economic development projects. The biggest was shifting Amtrak’s Vermonter west onto the Connecticut River line, which brought service back to Northampton and Greenfield. The huge region Blais served under both congressmen had—and has—major infrastructure needs. 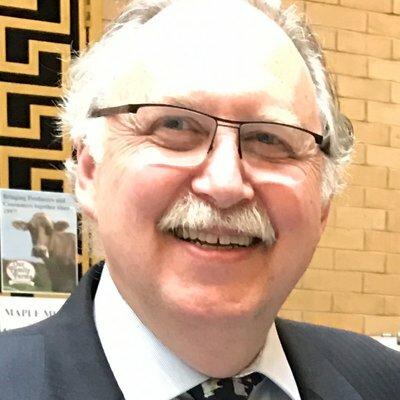 Blais was often the point person working to coordinate federal dollars, first as earmarks and later often as grants, to address deficits in roads, bridges, rail and broadband. “I think that the project management I did for both congressmen helped push those along,” Blais said. During an interview over breakfast in Northampton just before a coffee hour of hers in neighboring Williamsburg, Blais discussed the 1st Franklin’s needs and the stakes. Like others, she noted the regional demographic collapse as the population ages without being replaced by younger residents. Blais and her family were one of the rare exceptions. A Recorder article on her appointment to head the Franklin County Chamber of Commerce noted her path to the 413. A former Vermonter herself, appropriately enough, she dabbled in politics in her home state and worked for the namesakes of Ben & Jerry’s ice cream. She moved to the 413 when her husband got a job at Amherst College. Blais thinks developing co-working space and continued broadband expansion could make the region more attractive to businesses and their employees. She also wants to see the state put more emphasis on rural policy generally that will cover issues from healthcare to education and jobs. In a follow up email, Blais discussed reforming the commonwealth’s Foundation Education budget and segregate funds for charters schools. She noted that a recent state report found rural school districts spent considerably more per student than other districts. Broadly speaking, her platform mirrors the other candidates’. However, Blais is highlighting her resume to suggest she can deliver results. She has been involved in big projects and across the table from stakeholders. Keith Barnicle worked with Blais while both were congressional aides. His purview was principally federal casework—a post Blais had previously held—while she worked on economic development and later in-district communications. 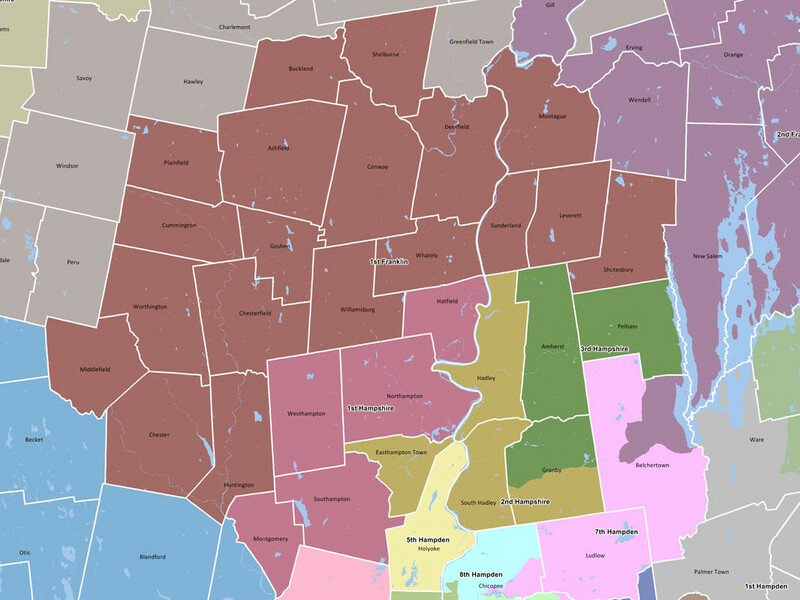 When Olver retired in 2012 amid redistricting—which put the Upper Valley in Worcester congressman James McGovern’s district—McGovern hired both for his Northampton office. “Natalie was really influential through a lot of big projects, including the Knowledge Corridor,” Barnicle said, referencing the rail line between Springfield and Greenfield. In addition to moving Amtrak service to the line, the improvement will facilitate a state-sponsored expansion of Springfield-New Haven service to Greenfield twice daily. Barnicle explained how Blais’s role evolved as federal spending policy changed. Initially she served as a conduit for district appropriation requests—Olver was a member of the House Appropriations Committee. Later, when Congress banned earmarks, her role became more focused on assisting local organizations and governments write grants. Blais “just knew how to synthesize and weave all that together into a way that could actually deliver for the region and the area,” he continued. That reputation has undoubtedly paid dividends for Blais. She has raised far more than any of her opponents. Blais has also gathered a constellation of endorsements from organizations, retired or retiring reps, The Daily Hampshire Gazette and her old boss, Olver. 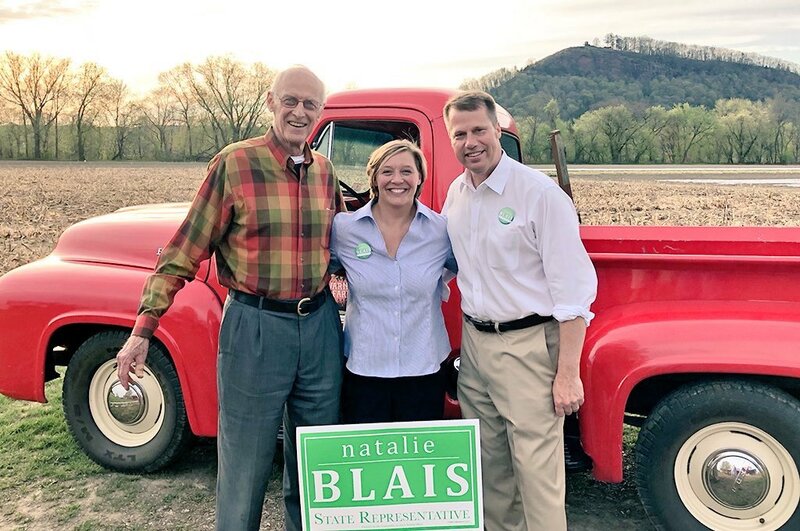 “The First Franklin District cannot do better than Natalie Blais,” Olver in a statement Blais’s campaign released in June. “She has the energy, values and preparation that will allow her to succeed in this challenging job,” he continued. Blais even got Kulik’s backing, which was not without controversy. He had indicated he would not endorse anyone. That consternation notwithstanding, Blais’s campaign must not only tout her experience, but prove it can prove it translates to Beacon Hill. Speaking to WMassP&I, Blais noted her work on connecting food stamp recipients with farmer’s markets. She also observed the state had to take the lead on the program as the federal government could easily drop the ball on the issue. Technically Blais has state experience, too. Between her gigs for McGovern and the executive director of the Franklin County Chamber of Commerce, she was chief of staff to UMass-Amherst chancellor Kumble Subbaswamy. In her follow up email, Blais discussed the state disinvestment in the university system. Among figures she cited from the Massachusetts Budget & Policy Center were the state’s 14% cut in higher education spending since 2001 and its 37% cut in scholarship programs. Barnicle recently took a job at UMass-Amherst himself. Speaking for himself and in no official capacity, he said he found Blais to have a positive reputation on campus. During the interview, Blais said she had thought she would seek office one day. But running for a seat in the 413, especially a rural one. Though advocates like Kulik have fought and scraped to get the region the share of the pie it needs, there much remains to revive the region. Blais has pitched her background as one that can deliver the transformation the small communities that “define Western Massachusetts” need.